Oh Man, Our Kids Are 18, Now What Do We Do? Most likely you will not select that option. So, what does it mean to be a parent of an 18 plus person. Some or all of the following may apply: they are in college (as far as you know, anyway! ); they are working but, still eat only your stuff, and often now at very odd hours; they still never have any money (unless it’s yours); they have only now begun to see you as somewhat intelligent; and they actually appear to like you. Of course this is only a sample list; feel free to insert your personal favorites. So, let’s explore what you may encounter. I will share a personal experience to illustrate one pitfall you may expect, and some suggestions as to how you may avoid them. Our kids all chose to attend Michigan State University, so they were 60 miles away living in a city populated totally with other kids. We tried our best to monitor them but, as we discovered, it really doesn’t matter because once they are 18 and an adult, third party people like doctors, school officials, cops, etc., cannot, and believe me they will not, talk with you without the consent of the 18 year old. One of our 18’s took ill, went to the MSU Olin Health Center and was admitted. Keep in mind that WE are paying the bill for this education and the medical insurance. Nurse (? ): your son is here in the hospital. Us: Oh my God, why? Nurse: I can’t tell you. Us: Then why did you call us? The point I am making is that once they hit 18, you no longer have the ability to find out stuff and help them as you did before; but, you still have the responsibility. The law says that they are entitled to their privacy. Privacy? This is the kid that openly pee’ed in your pool and laughed about it. By the way, a couple of other things to consider if you haven’t as yet: school grades are sent directly to them once they are 18, and if they are not full time students, they will most likely NOT be covered any longer on your medical insurance once they turn 19. One federal law, the Health Insurance Portability and Accountability Act of 1996, can make it very legally painful on a doctor, health care provider, or medical facility if they violate our medical privacy, namely 5 years or a $250,000 fine or both! Even spouses are not assured of the ability to discuss medical treatment as the law says that the provider “may” talk to a spouse. What about making medical treatment decisions then on behalf of your adult child who is away at school, or has just simply turned 18? Do you think doctors, etc., will discuss these issues or without some compelling reason? Not likely. 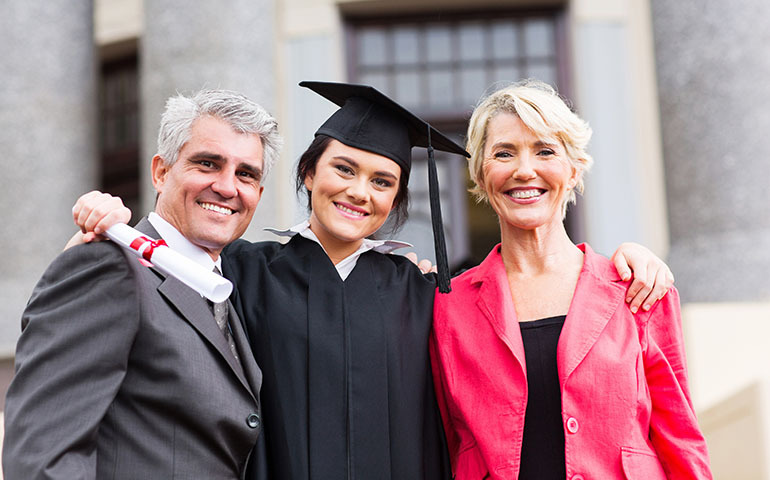 I site college and 18 years old, but it really has no bearing where they are, what they are doing, or even if they are in their 20’s or older, simple planning can alleviate some of the headaches involved, and offer peace of mind. One way to avoid some of the pitfalls is by creating a Health Care Power of Attorney and a HIPAA release authorization. These documents are usually inexpensive, quick and easy to execute, and provide enormous peace of mind. The 18 plus person grants you, or someone, the authority to access medical records and treatment information, and the legal designation to make medical decisions on behalf of the person giving you the power, but only when that person is unable to make their own informed decisions. I have overly simplified the very important material in this article due to space requirements and the vital need to incorporate some humor. The fact is, it is simple and easy to protect your loved ones with a little planning. Remember this: if they go off to MSU (or similar institution) they are living in a city with 46,000 other kids near the same age with no parental supervision, raging hormonal activity, and only the campus police know what else! The planning line forms to the right . . . !